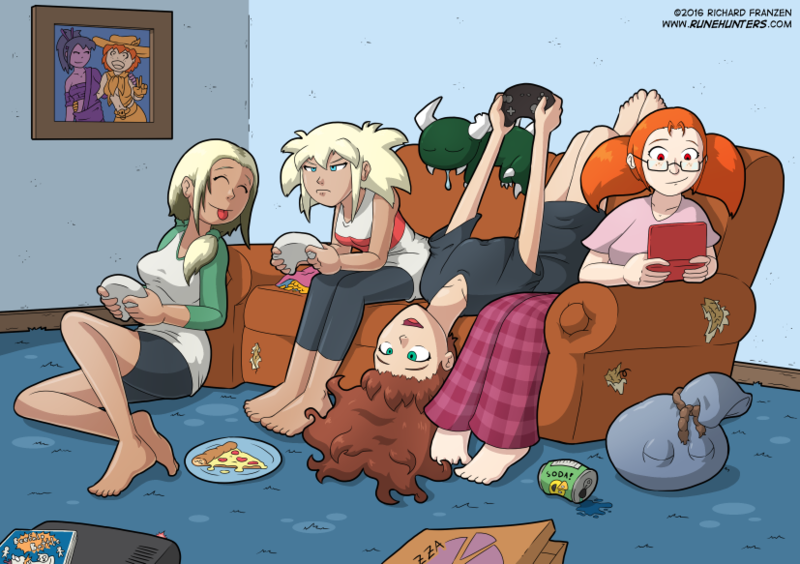 What better way to ring in the new year than by hanging out with friends and playing video games. I guess this explains what the cast of Rune Hunters has been doing in their long downtime. Also, I am aware that Kate is alive and well in this picture. That’s because it is a non-canonical picture of the cast. Besides, it’s not like the Rune Hunters have pizza to eat and video games to play in their universe.